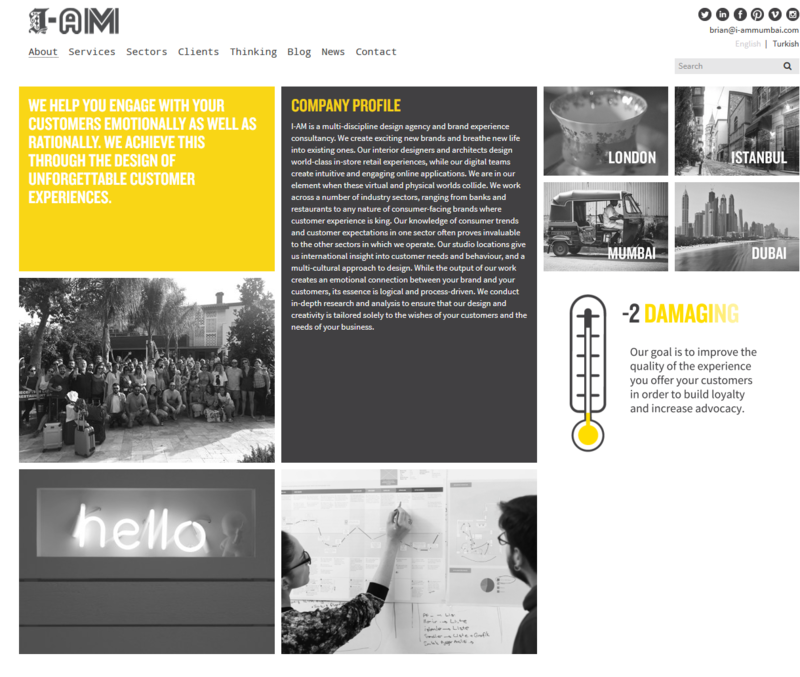 I-AM is a multi-discipline design agency and marketing consulting services india. We create exciting new brands and breathe new life into existing ones. Our interior designers and architects design world-class in-store retail experiences, while our digital teams create intuitive and engaging online applications. We are in our element when these virtual and physical worlds collide. We work across a number of industry sectors, ranging from banks and restaurants to any nature of consumer-facing brands where customer experience is king. Our knowledge of consumer trends and customer expectations in one sector often proves invaluable to the other sectors in which we operate. Our studio locations give us international insight into customer needs and behaviour, and a multi-cultural approach to design. While the output of our work creates an emotional connection between your brand and your customers, its essence is logical and process-driven. We conduct in-depth research and analysis to ensure that our design and creativity is tailored solely to the wishes of your customers and the needs of your business.